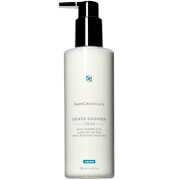 Gently remove even waterproof makeup and skin impurities in a single sweep with mineral-rich Cleansing Water. 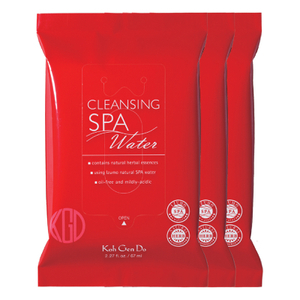 Pure hot spring water, rich with skin-absorbing nutrients, replenishes and rejuvenates as it cleanses. White Birch Sap, harvested only three weeks in early spring, contributes an abundance of minerals and Xylitol as it lifts off makeup, oils and residue. No stickiness or oiliness and feels just like water. No washing or rinsing required. Perfectly convenient for on-location makeup artists and busy on-the-go women. Oil-free. Perfect for use with eyelash extensions. Use as part of your daily routine. 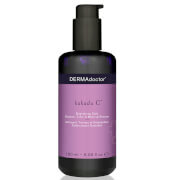 Saturate cotton pad with Cleansing Water. Close eye and place cotton on lid. After a few seconds, sweep cotton across lid from the top downward. Wipe cotton under eyes starting from the inside moving outward. Sweep gently across face to remove makeup. For specific small areas, saturate a cotton swab. Helpful Hint: Place saturated cotton on area of makeup removal and hold for 3 - 5 seconds before wiping. This cleansing water replaced the Sysley similar product that I have been using before, and it comes at a fraction of the cost. I have combination skin, also sensitive. 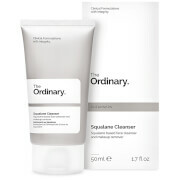 This cleaner works very well, it leaves the skin clean, moist and soft. I did not try it on heavy make-up since I don't use it, but for the everyday make-up, or for an easy clean up at the end of the day even without wearing make-up, this product does what it promises and more. Highly recommend it.